A quick update on the sausage roll availability between Mile Cross and the Temple Bar. You will recall of course that Louis's Deli on St Giles makes the best sausage roll in Norwich, possibly the world (declaration of interest: I once got a free one because they were slightly burned on the bottom) and that the sausage roll at Upper Crust, though championed in some quarters for being larger and cheaper, I always found limp, pale and soggy. 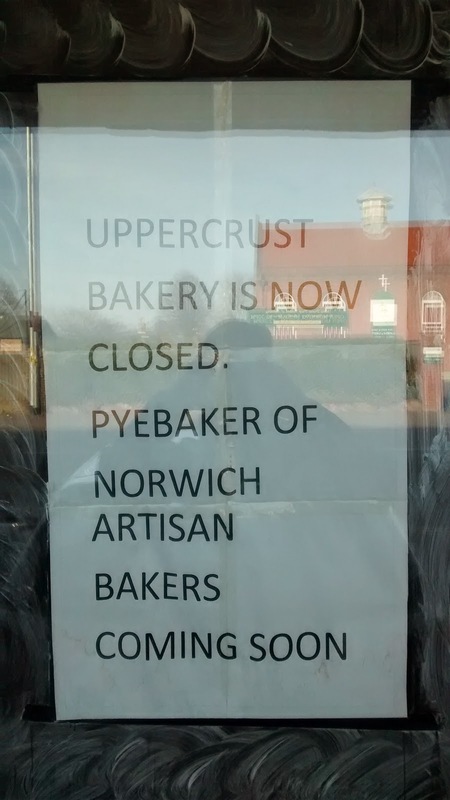 Well, I feel vindicated because it turns out that Upper Crust bakery's sausage rolls were secretly bulked out with rodent droppings and rat poison and the fine from Environmental Health and subsequent exposure on the front pages of the Evening News last month has caused them to close their doors forever. 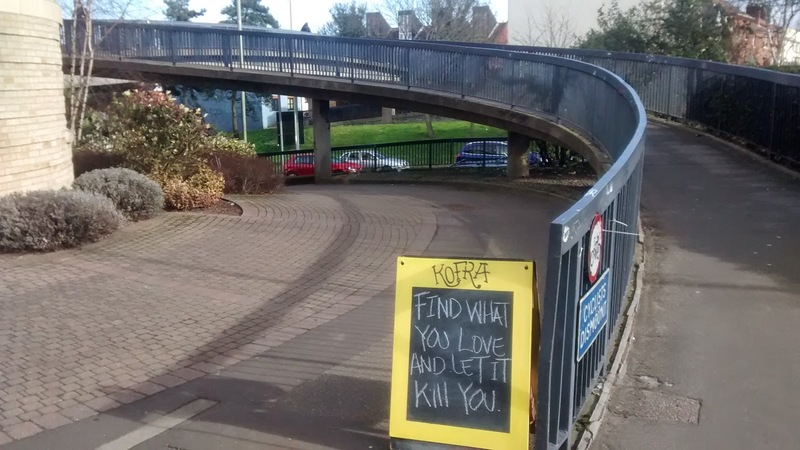 I spent a happy few weeks making myself late for work on a Tuesday by hurrying over the bridge (ignoring the local coffee shop's chalked entreaty to throw myself off) and queueing up with all the language students to purchase a sausage roll at Louis's. see my reflection in the window. Pyebaker. P. Y. E. Pye. Pye is an English surname of good heritage. (Henry James Pye was of course Poet Laureate from 1790 to 1813 - remembered chiefly now as the first Poet Laureate to insist on being paid in money instead of the traditional annual half-puncheon of wine. Half a puncheon, or one tierce, is an astonishing 160 litres! If you have a minute you can listen to a robot read Pye's Song: Fair Delia while each Sighing Swain on this poetry website.) I hope that Pyebaker is owned by one of his descendants and is not one of these faux-olde-worlde misspellings. Pyebaker is open now but they had sold out of sausage rolls when I popped in for a look so I bought one of their pre-made ham and english mustard sandwiches that I must say was rather nice. I was going to hold off on this blogpost until I had sampled the Pyebaker sausage roll but to be honest I wanted to write something light-hearted after all that A.I. 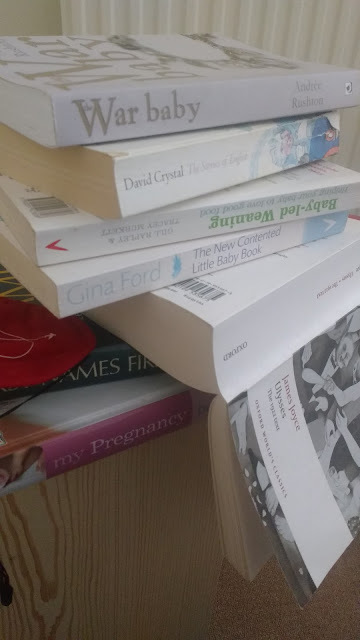 stuff last week and the only other idea I had was something about linguistic environments being insufficiently rich to account for first language acquisition.